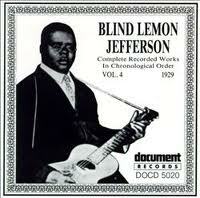 ¶ 3 Leave a comment on paragraph 3 0 The album ends with a cover of a Blind Lemon Jefferson song . According to the allmusic web site (which is awesome btw), Jefferson was the first commercially successful male blues performer. Jefferson was a major influence on Dylan favorites Leadbelly and Lightnin’ Hopkins. ¶ 4 Leave a comment on paragraph 4 0 Ironically, nobody paid much attention to his plea in the song’s title – he was buried in an unmarked grave. Years later a tombstone was placed at the approximate location of the original. Hopefully the site is well-tended. ¶ 5 Leave a comment on paragraph 5 0 This song, like several others on Dylan’s first recording, was a standard among the sixties folk revivalists. 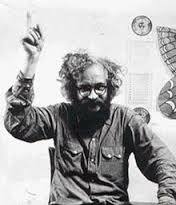 It was included on the Harry Smith’s Anthology of American Folk Music, a collection of folk songs that influenced many sixties folk singers, including Dylan. ¶ 6 Leave a comment on paragraph 6 0 Dylan also recorded the song during The Basement Tapes period. It can be found on the bootleg The Genuine Basement Tapes. ¶ 9 Leave a comment on paragraph 9 0 A cover by Mike Bloomfield, guitarist extraordinaire who contributed greatly the Highway 61 album. ¶ 11 Leave a comment on paragraph 11 0 Dylan’s early mentor, Dave Van Ronk. ¶ 13 Leave a comment on paragraph 13 0 I like this one a lot. ¶ 15 Leave a comment on paragraph 15 0 Lightnin’ Hopkins’ cover. ¶ 17 Leave a comment on paragraph 17 0 The King. ¶ 19 Leave a comment on paragraph 19 0 A cover by Lou Reed.